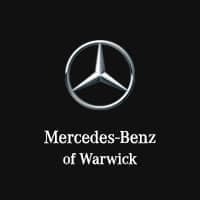 If you’re searching for a new luxury car, user Mercedes-Benz of Warwick’s car payment calculator to estimate your monthly loan or lease payment for your Providence drive. You can find out the purchase price of your next C-Class sedan or GLC SUV by simply using our auto finance calculator! Input the information below, and feel free to reach out to our finance department with any questions you may have. For any auto loan questions or concerns, feel free to contact us directly! We’ll help you drive home to East Greenwich in the new or used Mercedes-Benz of your dreams by making simple, fair car financing a reality. Even if you need further assistance with things like trading in your car, you can rely on us! After you check out our car payment estimates online, it’s time to visit us in person! Make an appointment for a test drive or stop by at your leisure.